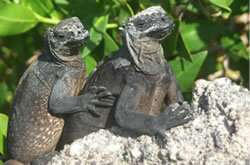 ‌UGalapagos Biology is a unique program that couples small, intensive courses with a deep immersion in a foreign culture. It surpasses programs offered by others that are usually confined to cruise ships with only episodic contact with island flora, fauna and people. 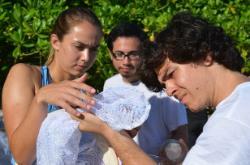 In UGalapagos Biology, you live with families and engage in community service activities defined by the community. The UGalapagos Biology program in the Fall semester is unique from other Galapagos programs in incorporating a 5-day trip into the heart of the Amazon and four weeks in the highlands of Ecuador, providing students the opportunity to compare the flora, fauna and cultures of continents and islands. Further, our partnership with a local university allows for direct research experiences with faculty who do research in Galapagos. ‌Islands have inspired naturalists for centuries, shaping brilliant ideas like Darwin's and Wallace's theory of natural selection. As such, this summer course uses the Solomon Islands as a stunning backdrop to explore the ecology and evolution of island ecosystems. In addition, this course will introduce students to the major conservation challenges we face in finding a balance between meeting the needs of the people and the ecosystem. Students will be immersed in the culture of Melanesia, staying with local families and in private islands. The course will be offered again in Summer 2017, and is led by Drs. Al Uy and Floria Uy, biologists whose work explores diversity in the tropics.